Your Christmas Shopping Starts Here! If you haven't thought about your Christmas shopping yet, today is definitely the day to make a start. 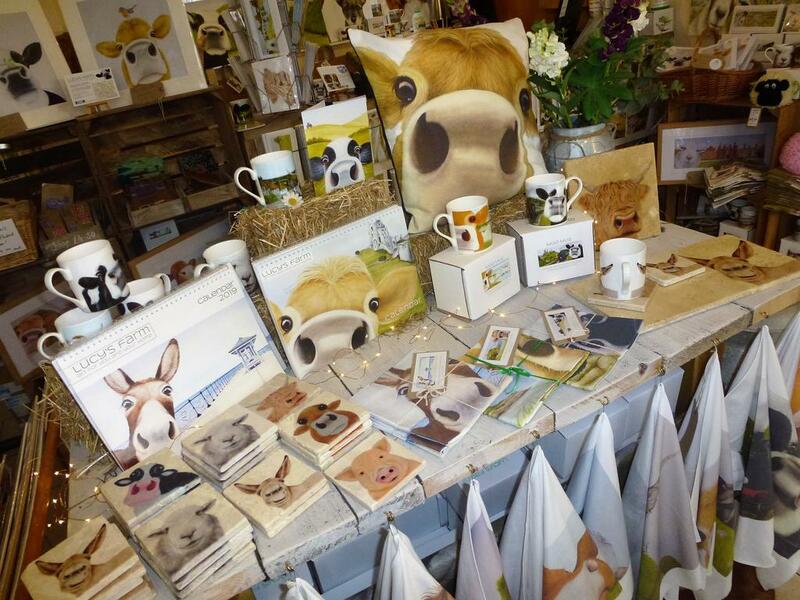 The Moos and I are really excited to be exhibiting at some wonderful events and we'd love to see you. You can find us at The Rare Brands Christmas Market at Goodwood Racecourse on Thursday 22nd - Saturday 24th November - 9am - 4pm. We'll also be at the Weald and Downland Christmas Fair in Chichester on Friday 23rd - Sunday 25th November - 10:30am - 4pm. The Christmas Art & Craft Fair at The Springfield Country Hotel for handmade and unique gifts. The Chrismas Fayre at the Purbeck Artisan Yard with plenty of local arts, craft, gifts and vintage items to get your Christmas shopping sorted. Both events are running Saturday 24th & 25th November - 10am - 5pm. So whether you're in West Sussex or Dorset this weekend, you can find the perfect Christmas gift for your loved ones at these bustling events!